This product is no longer available to purchase online. 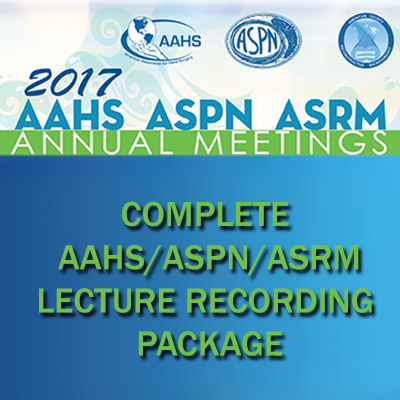 Order all recordings from the 2017 AAHS / ASPN / ASRM Annual Meeting! 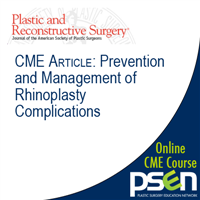 More than 60 lectures and panels will be recorded at the AAHS / ASPN / ASRM Annual Meeting in Hawaii in January 2017 and will be available to you online in March via your "My PSEN / My Courses" area on PSEN. The recordings are video streams that you can watch at any time while connected to PSEN. You will retain access to these recordings indefinitely. -Combined Panel: Reconstructive Surgery - Are We Worth It? -Failed Fingertip Injuries: How to Manage? All ASRM Meeting Registrants will receive this package for free as part of their registration bundle. 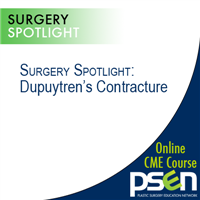 -YMG Forum: On the Hot seat: How would you handle this complication? -YMG Panel: Life After Residency -- Should You Do A Microsurgery Fellowship? * In certain instances, faculty opted not to be recorded. In these situations, the talks by the other presenters will still be offered.